NAPOLEON SOLO (Randwick Septembr 28): Showed promise when placed at Canterbury in July and looks ready to go on from that as this was an excellent performance to run the fastest time of the 1035m heats (1.03.62/last 600m 35.20) with a surging finish. He was well back on settling and was giving a previous smart trial winner FLYING LEGEND three lengths start inside the last 200m before reeling him in with some big bounds. Talented. 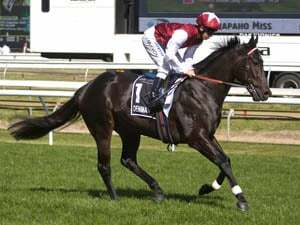 ROHERYN (Warwick Farm September 24): Godolphin have been patient with this impressive Lonhro colt since he won his first trial last season and the wait will be worth it after he put a big stamp on his maiden heat over 798m. 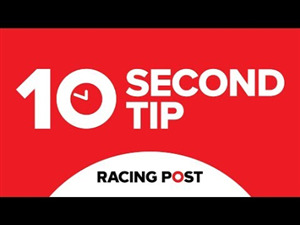 James McDonald was content to keep him under restraint three wide outside the lead before giving him a click to quickly extend like a good horse on straightening. He cruised to a soft 3.3 lengths win in 47.31 (33.30) and will be strongly favoured to make a winning debut. FLYING LEGEND (Les Bridge): Only the second trial and first since May for this unraced Redoute’s Choice filly indicates she is a future winner. Took up the running in her 740m heat with ease and travelled well within herself under a cool ride by Kerrin McEvoy to comfortably hold the runner-up. Trialed again RandwickSeptember 28 when second to Napoleon Solo. 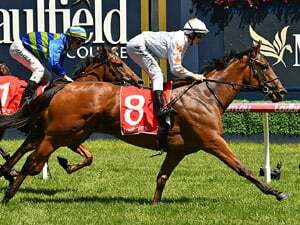 TELL ME (Rosehill September 21): This lightly-raced Choisir filly was clearly the star of the maiden heats over 908m, leading with ease and working well within herself to set the time standard (53.83/34.30) as she cruised home by a conservative two lengths. Placed once in three starts last season and shouldn’t be long breaking out of maiden class. Trialled again Rosehill October 2 when second to Vahvuus. VAHVUUS (Rosehill October 2): This was the third trial for this unraced Congrats filly and her improvement was obvious as she controlled the heat from the front and got clear of the chasers under her own momentum for a soft 1.8 lengths win in the fastest of the 900m heats (53.91/last 600m 34.40). The fact that she beat the highly regarded Tell Me, an impressive trial winner in her own right, adds merit to the quality of this form. 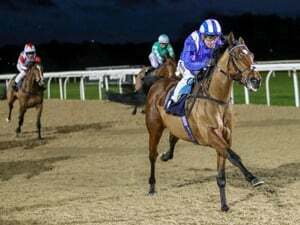 Recent Trial Watch Winners: Rare Impulse, Catesby, Mahalangur; Tactical Advantage; All Stand; Diplomatico; Maid In Milan; Soir De Lune; Evalina; Spending To Win; Shumookh; Farranfore; Momentum Amethyst; Nakeeta Jane; Nacho Libre; Sebring Express; Ragged Rascal; Miss Einstein. RECENT BLACKBOOK WINNERS: Sesar; Tamasa; Diplomatico; Homesman; Patrick Erin; Oohood; God Of Thunder; Miss Admiration; The Autumn Run; Noire; Mikey Blue Eyes; Akkadian; Night’s Watch; Best Of Days; Isaurian; Haripour; All Too Soon; Le Romain; The Passage.